Dennis was born and raised in Wellington. He joined a finance company as Branch Accountant before being transferred to Christchurch as the Regional Manager, and was subsequently transferred to Head office Auckland. In 1982, together with a partner, they set up a Merchant Banking firm. Except for a number of years when he grew and ran a Charitable trust, which distributed millions of dollars to the community, Dennis has remained in the financial area since, assisting clients with projects and giving financial advice. He now provides succession planning and exit strategy advice. Dennis has been actively involved in Rotary for over 40 years, having been President of his club and on district committees, and has twice been awarded a Paul Harris fellow. On the sporting front, he has been heavily involved in rugby, having represented both Wellington and Canterbury (and was an All Black trialist), followed by 20 years of coaching and administration. He was initiated into the Lodge of the Liberal Arts in July 1997 and has served twice as Master. He is a member of the Lodge of Enlightenment, the Chapter of Peace, Ara Cryptic Council and the St Barnabas Rose Croix. With a particular interest in Masonic education, Dennis has been a Grand Lecturer in both the Craft and the Royal Arch. He is a Trustee of The Freemasons Foundation, and has served as a committee member of The Freemasons Charity. Dennis has been married to Glenys for 46 years and they have a daughter in London who has two daughters under 3, and a son in Hong Kong who has a son who is 6 months old. They are very interested in travelling regularly to see them. Ian was initiated into Lodge Kumeu 279 in West Auckland in 1983 and progressed quickly through the offices until at the end of his term as Senior Warden, family and work responsibilities led him to step aside from active participation for over 10 years. The sabbatical ended with his being installed as Master in 2004! He served 2 terms as Master and is a member of the United Masters Lodge where he has served a term as Master. Ian was also a foundation member and the inaugural Director of Ceremonies for Lodge Kauri 474. On returning to active involvement in the Craft, Ian joined the Divisional Visual Aids Advisory Group help develop the ‘digital’ Tracing Board Presentations. 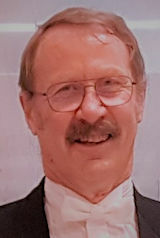 In 2010 Ian was appointed Grand Steward for the Auckland West District and in 2013 as District Grand Director of Ceremonies for Auckland East District. In 2016 he was invested as Grand Director of Ceremonies, Northern Division. For the last 14 years Ian has worked with MYOB accounting software as an independent consultant. In 2015 MYOB employed him as a product specialist and trainer for their software working with accounting practices throughout New Zealand. Ian has been married to Alimay for 41 years and they have two adult children and three grandchildren. Bill was born and schooled in Whangarei. After leaving school, he served an apprenticeship as a Watchmaker, and later as a Jewellery repairer / manufacturer. In 1962, he was called up by the NZ Army, to do 3 years National Service. During his time, he was commissioned as a 2nd Lieutenant, and on leaving, held the rank of Lieutenant. In 1981 he studied Gemology at the Gemological Institute (GIA) in America, followed by a refresher course in 2006. On moving to Auckland in 1996, Bill started a new business AGL Ltd, with 3 other Gemologist, supplying Gemmological testing and ID Reports, Diamond Grading and Reports, as well as Jewellery Valuation services for the Jewellery Trade, Insurers’ and Private Clients from all over NZ. He is still active in the business today. Bill was initiated into Lodge Whangarei No 102, on July 11th 1977 and subsequently became Master in 1995. After a break of 5 years from Masonic activities, he joined Lodge Maungakiekie No 373, and was installed as Master in 2003, and again in 2008, and is still a member of the combined Auckland- Maungakiekie Lodge No 83, as well as a Founder Member of Lodge Kauri No 474. Bill has a son in New Zealand and a daughter in Australia. Between them they have added four grandchildren to the family. His wife Barbara has a daughter who is teaching in the USA, and a son in NZ, so far adding only one more grandchild. Other interests include SCUBA diving, shell collecting - with several new discoveries, the collection of Vintage Wrist watches, travel, wine, dining with friends and reading, when time allows. 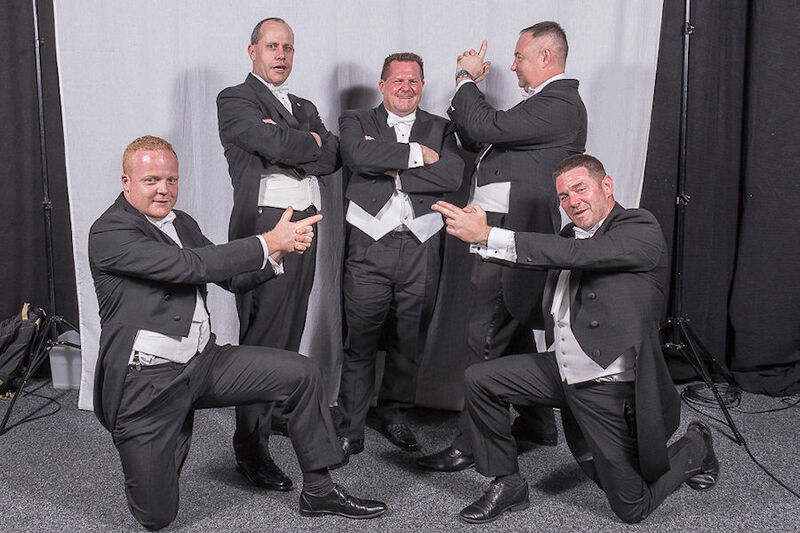 Grand Stewards, from left to right, Logan Waite, Andrew Berry, Chris Bayne, Dave Piper and Gavin Deevy. Logan Waite: Logan was introduced to freemasonry though being awarded a Freemasons NZ Honours Student Scholarship in 2006. He was subsequently initiated into Lodge North Harbour #182, and was installed as Master in 2013. In 2016 he was invested as a Grand Steward, and serves as part of the ‘Famous Five’ in the Auckland District. He also sits on the Auckland Freemasons Scholarship Board, and has the privilege of extending financial support to academically excellent, and community orientated students each year. 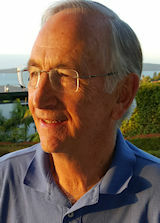 Andrew Berry: Andrew was initiated into The Pakuranga Lodge No. 416 in October 2006. He served as Junior Deacon and Senior Warden until becoming Master for two consecutive terms in 2014, and was invested as a Grand Steward in 2016. He is a member of the Howick Royal Arch Chapter 101 and has been a long-time member of the Highland Park Conclave No. 36, having served as Supreme Ruler of the Conclave for two terms between 2013-2015. Andrew is currently the District Grand Director of Ceremonies for the Order of the Secret Monitor. He is also a member of the NZEF Masonic Association. Andrew was previously a member of the NZ Police but now owns his own specialist recruitment business in Auckland, Waikato and the Bay of Plenty. Andrew and his wife Donna have one son and spend as much time as they can out on the water, sailing, fishing and diving. David Piper: Dave was initiated into Lodge Herne Bay United No. 340 in April 2005 and was installed as Master in August 2009 for the first of four terms. The last three of which were served consecutively from 2013-2015, while overseeing the merger with Lodge Maungarei No. 427, to form The United Lodge No. 340 in November 2016. In addition, Dave is also a Companion of the Ara Royal Arch Chapter No. 53 as well as Hauraki Priory No. 38 in the Knights Templar. Dave is also actively involved in the Kidz First Committee which fundraises in support of the children’s ward at Middlemore Hospital in South Auckland. He has also served in school trusteeship as a former BOT Chairman with Bayfield School and currently as a parent representative on the BOT with St Mary’s College, Ponsonby. Dave has worked in human resources for the last 20 years where he has occupied roles in both public and private sectors with organisations such as the Ministry of Justice, Serco, Auckland Regional Transport Authority, Air New Zealand, Delegat’s Wines, Fonterra, BNZ, Sky City and now Bridgestone New Zealand as National HR Manager. As well as having two daughters, aged 22 and 14, Dave’s interests include music, cinema, travel, wine appreciation, history, current affairs and cricket having been active with Suburbs New Lynn club in West Auckland. Kevin Saunders (Grand Tyler): Kevin’s Masonic career began on the 20/11/86 when he was initiated into Lodge Morningside No 228. When this Lodge handed in its charter his membership transferred to Ponsonby Lodge No 54. In the same year, he affiliated to its mother Lodge, Ponsonby No 708 SC, where he became Master in 1993/94 and is currently Treasurer. On shifting to Orewa in 1997 Kevin joined Lodge Orewa No 370 and went on to become Master in 2010 and 2011. He is also affiliated to Wellsford Marsden Lodge No 169. In addition Kevin joined the Royal Arch and is a member of Kaipara- Mahurangi No 80. Other masonic membership includes The Secret Monitor North Shore Conclave No 29, Orewa Rose Croix No 47, and The Royal Order of Scotland. Kevin was born in Dannevirke (Hawkes Bay) where he attended Dannevirke High School. He initially joined the Commercial Bank of Australia, and subsequently the Totalisator Agency Board as an Agent and later working for three different Landscape Designers. He is currently semi-retired but still working for himself on gardens from St Helliers to Omaha. He is married to Pauline and has 2 children and one grandchild. His interests include, gardening, golf, travel and he is passionate about his salt and fresh water fishing.